The accuracy of coordinate measuring machines is tested using the ISO 10360. This standard sets the "Acceptance and reverification" tests for coordinate measuring machines (CMM). 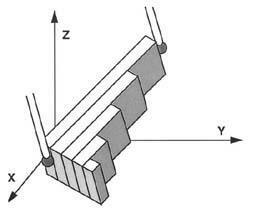 A set of 5 gages has to be measured 3 times with one probing at each end, while the block is being aligned in 7 different directions in space. All measuring results must fulfil the Specification "E". 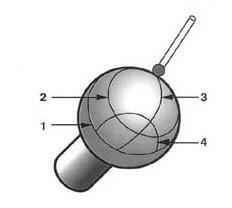 A precision sphere is to be measured with a 5 probe-star (fixed probe head) or with 1 probe in 5 different orientations (revolving probe head), with 5x25 probing. Form, size and location error over all 125 probings.